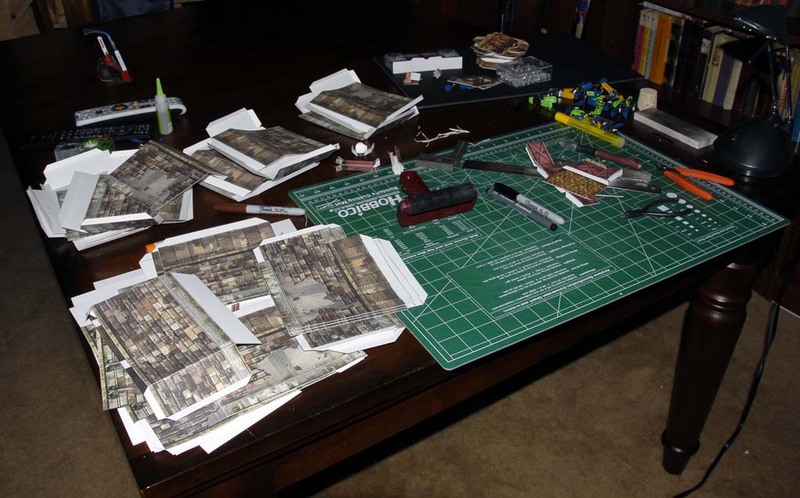 I'm using LD2062's Excellent Layout Guide to build my own Winterhaven from the 4e DnD module _Keep on the Shadowfell_. At the rate my monthly group progresses, my goal is to finish this by March. 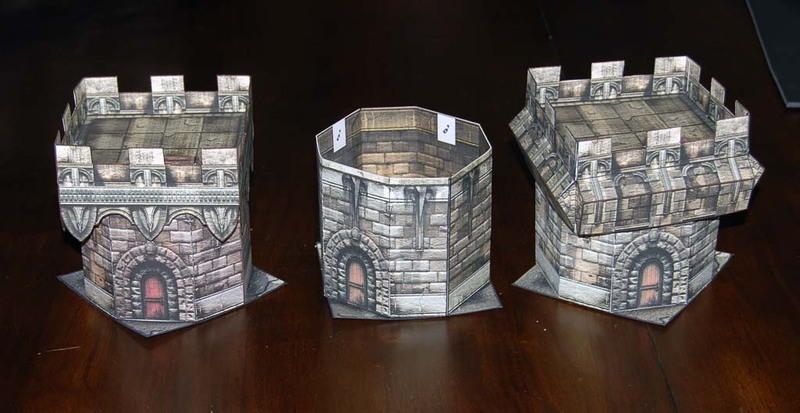 I started out by building a few tower bases, and one of each type of crenelation, just to see what I liked better. Next, I wanted to do a building to get a feel for how long they took. I started out with the Secure Storehouse kitbash. The kitbash comes with two different floors. I wanted to be able to use whatever floor I wanted, so I printed them out and glued them back-to-back. In order to easily get the floor in and out, I cut a hole in the bottom of the plain cardstock I used. This gives the air someplace to go when I drop the floor insert in, and lets me use a pencil to poke the floor insert out. 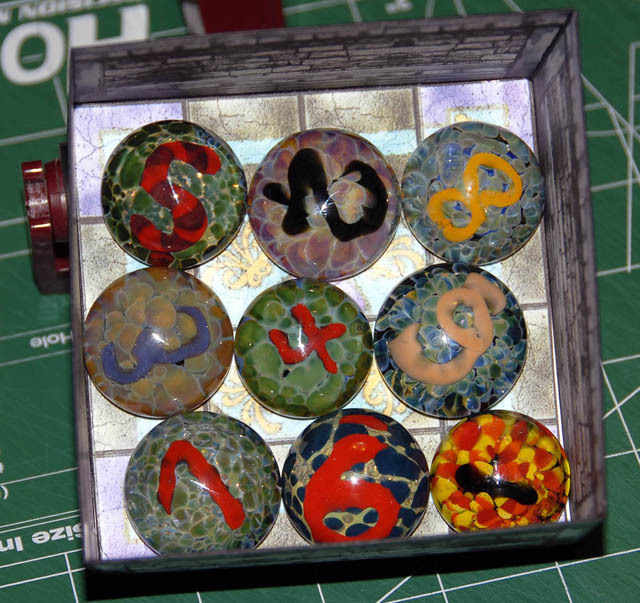 Here's the interior, used to store the glass initiative tokens I made. 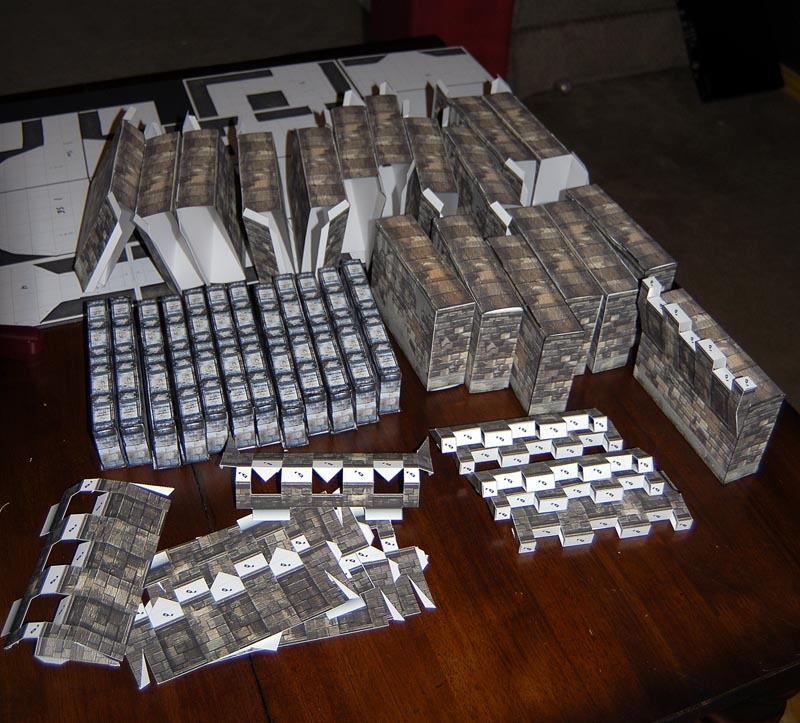 Currently in progress I have the 18 wall sections (shown here cut out and mostly scored), as well as the Grand Stable kitbash. I love the idea of the double sided floor. I may start doing that for my floors so I can switch between 1 and 1.5. I wonder if the layer will hold up and stay flat or if I should add cardboard or something. I've posted about it before. But to get the tower tops to fit over the tower floor braces the slots actually need to be moved closer to the center. Awesome. I love seeing progress reports like this (and you guys do some of the best out there). These things really keep us motivated behind the scenes. I've only had time to work up module encounters for my group recently. I sat down today and got back to work on Winterhaven. I kitbashed some 7" walls for the Grand Stable so that I'd be able to use the four small stables as independent units. I've started the glueup on the stable, and have made the first glue pass on the 18 wall sections. 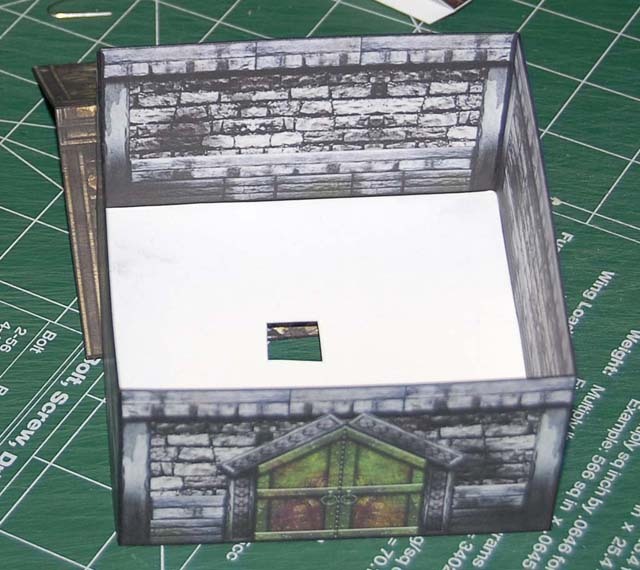 I've also made the first glue pass on a couple of the hovels, plus one of the kitbashed buildings. Pics to come when I finish them all up. Here's some recently finished stuff. I'm still working on the stable walls, and am going to have to stop working on the city and start getting ready for the game in a week. 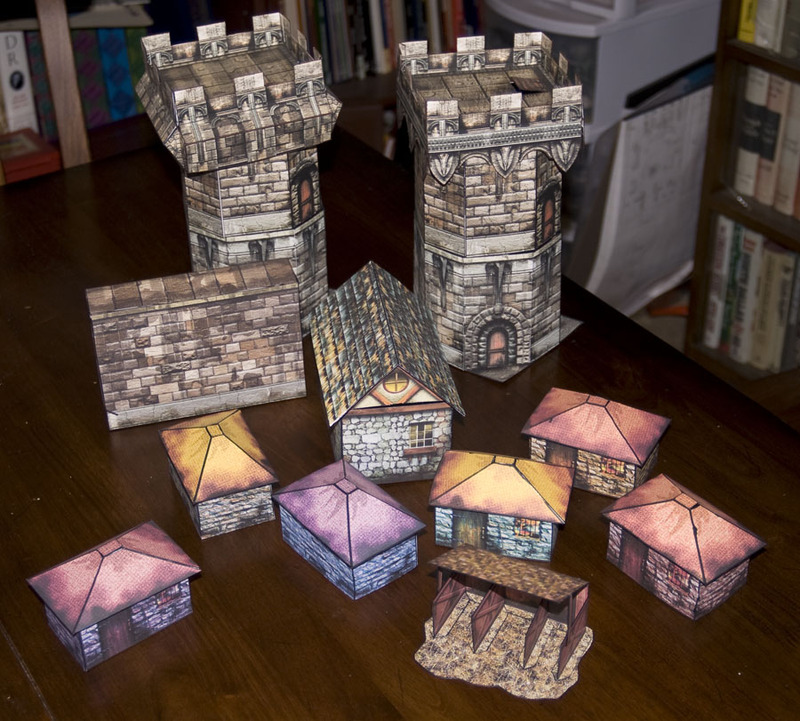 Some recent work, including a bunch of non-Winterhaven stuff (a dozen 7" minichunk walls, the baseboard for Undercrypt). Almost done with the grand stable. I've chosen not to use the normal stalls as called for in the kitbash. 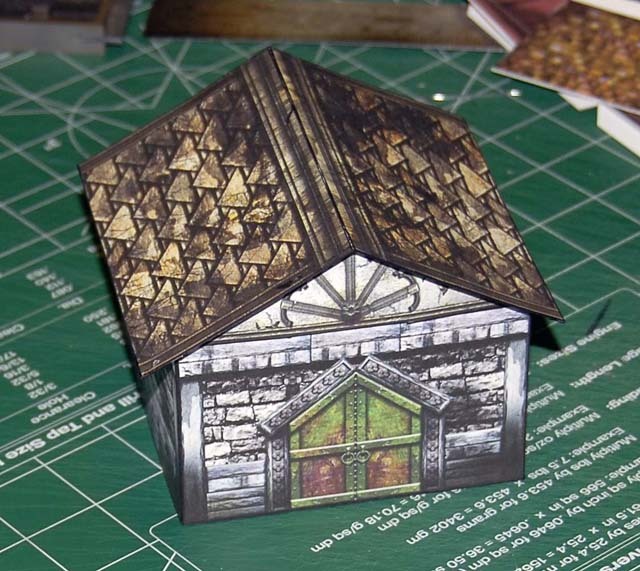 Instead, I made a single roof for the whole structure. 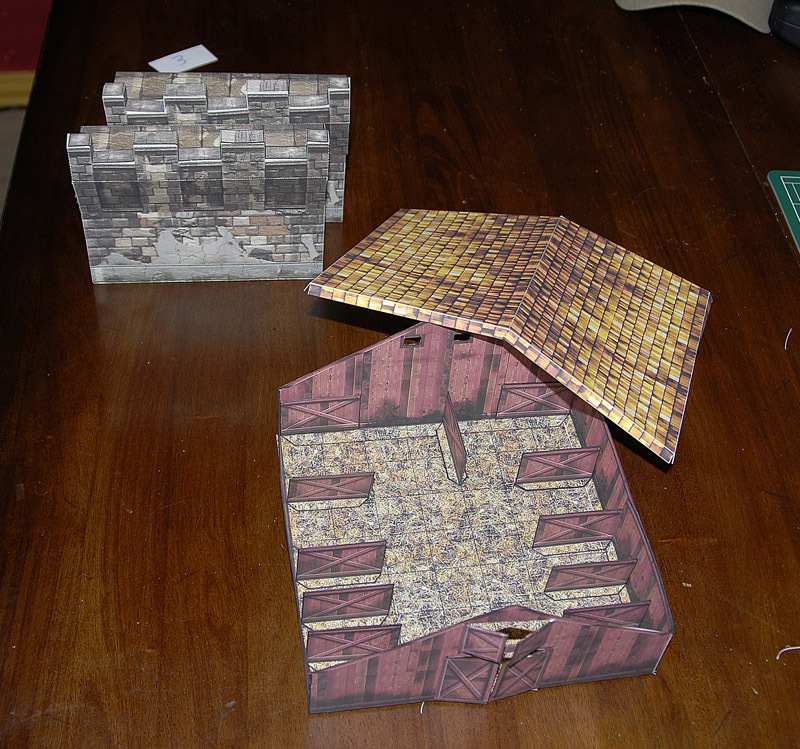 I'm hoping that the stable dividers will prove sturdy enough to support a foamcore hayloft insert. Maybe with corner braces set at the same level? Hmmm. Here's a pair of finished crenelations, I just need to edge. I'm having a real crenelation-based morale problem. Sixteen more to go.